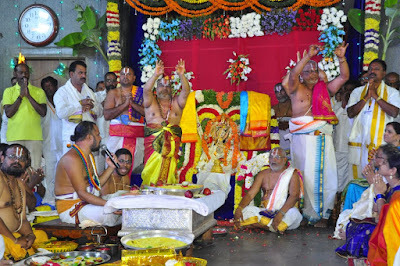 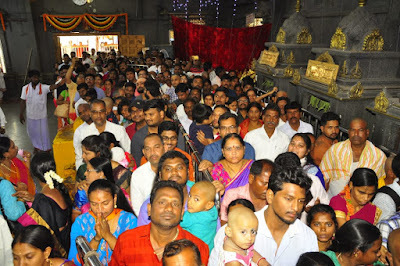 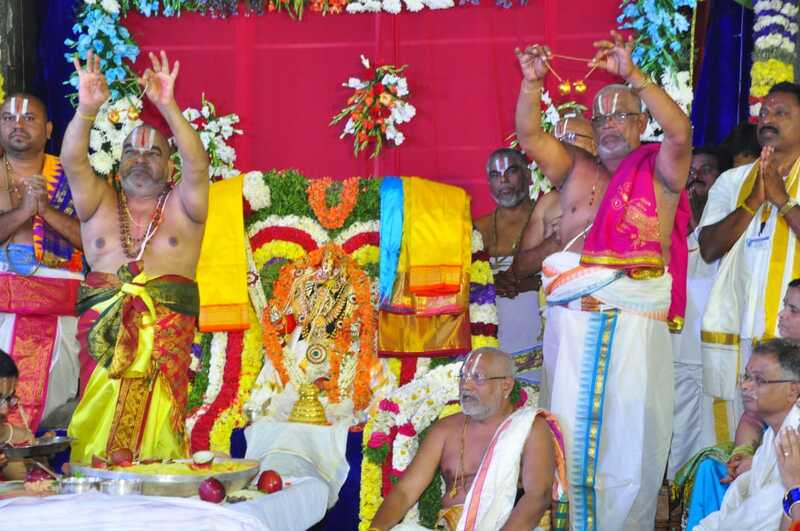 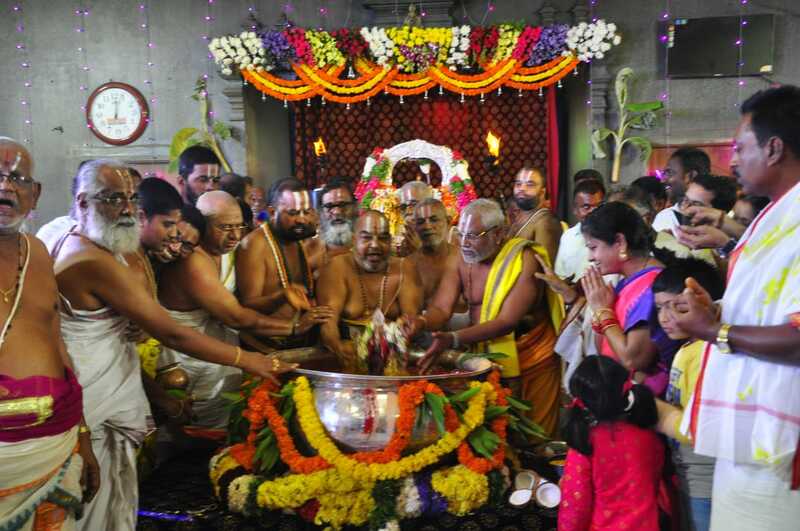 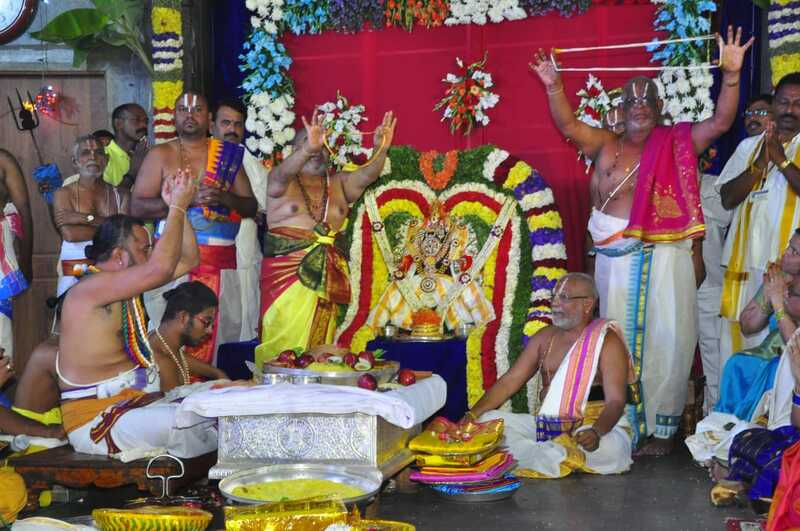 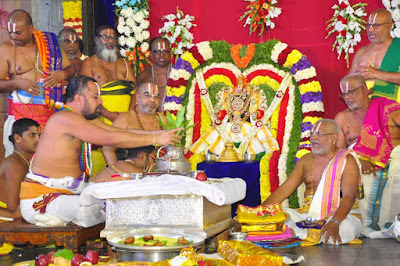 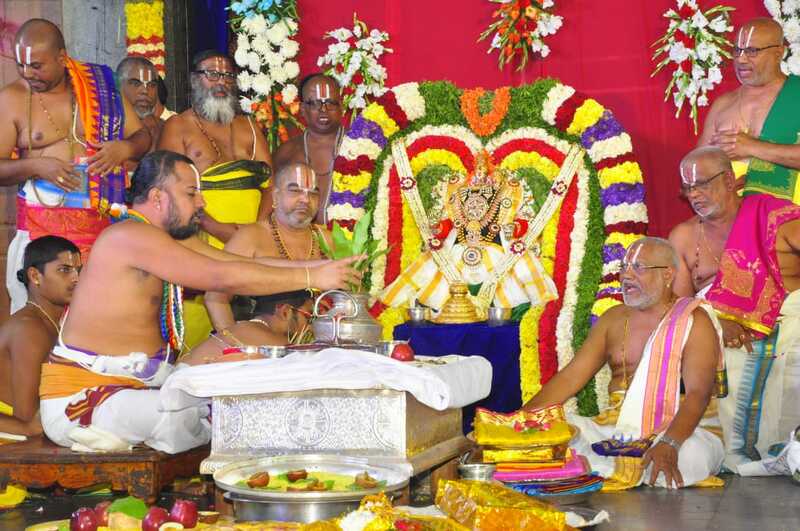 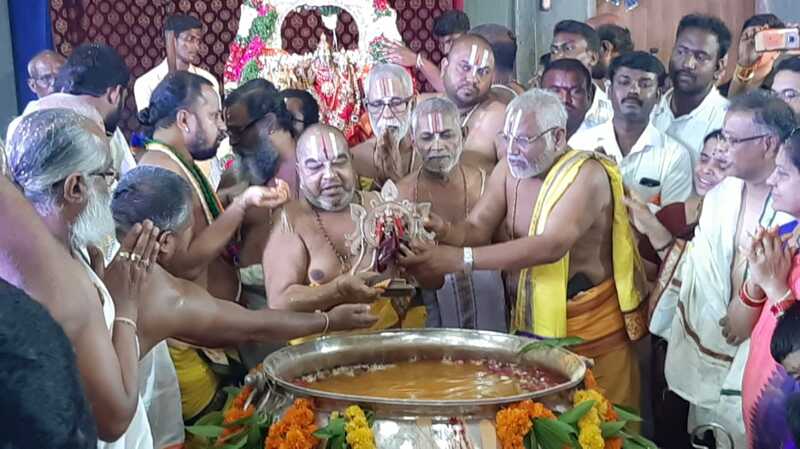 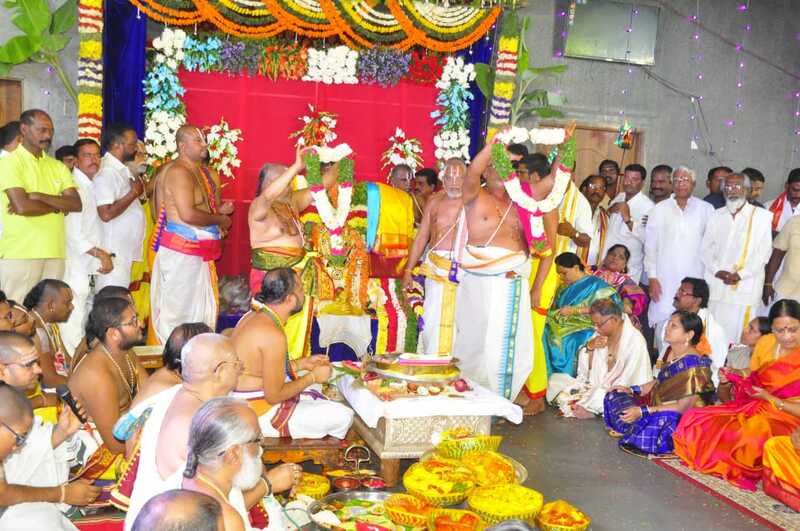 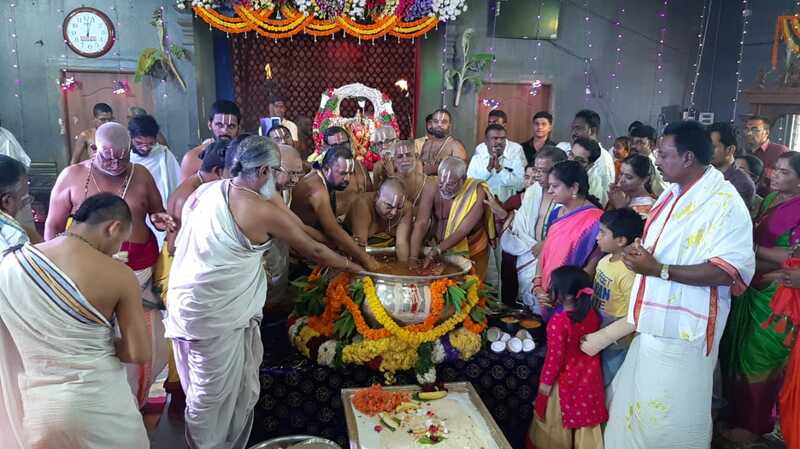 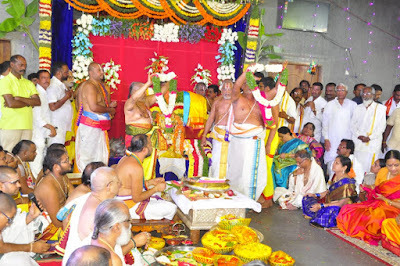 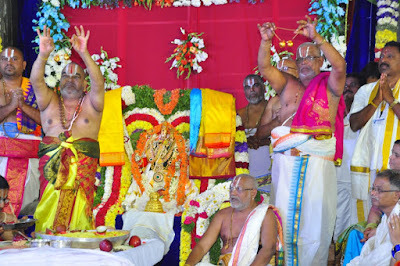 Sri Laxmi Narasimha Swamy vari Brahmotsavam 2019 - the event of Sri Chakrathirtham was held in the Bala Alayam Since Vishnu Pushkarini is under rennovation as part of developement of the Yadadri Temple by Govt of Telangana. 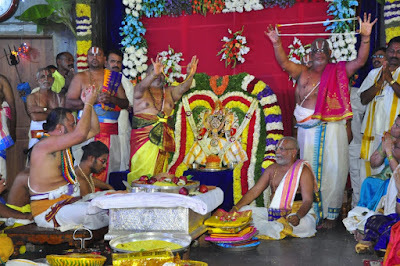 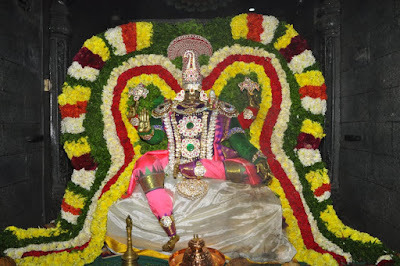 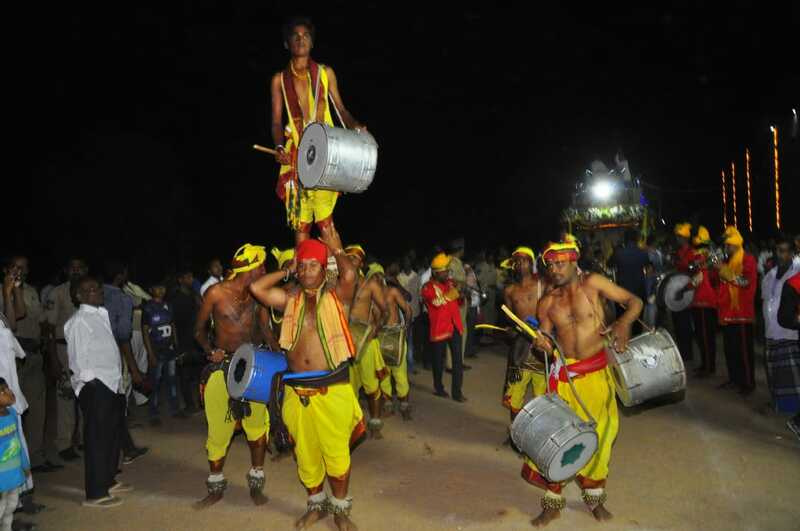 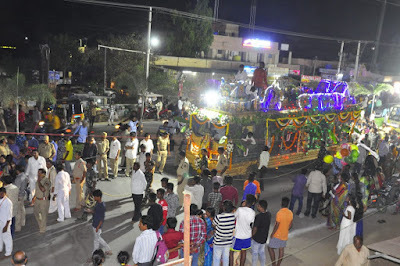 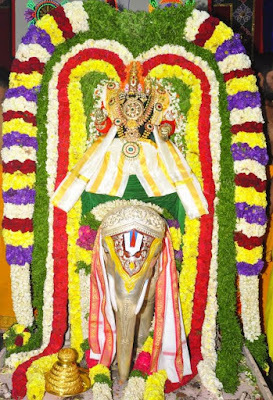 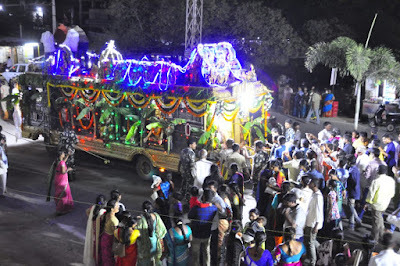 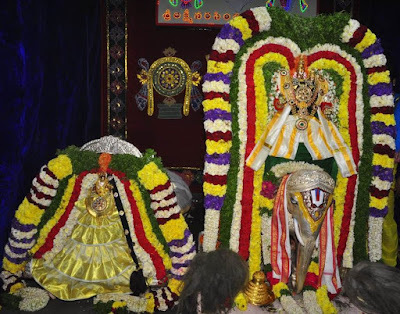 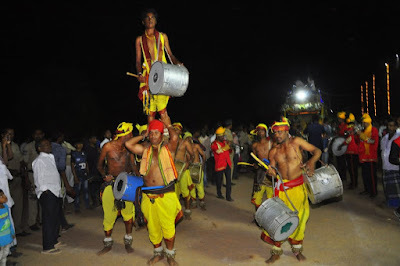 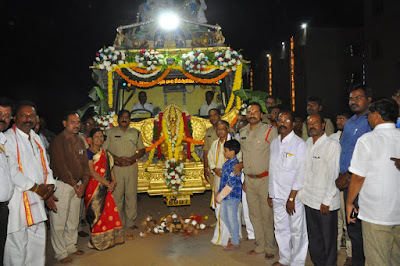 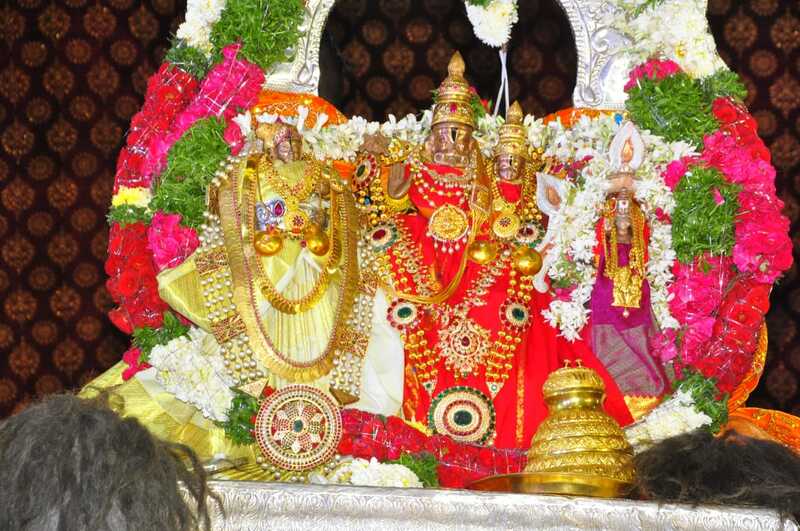 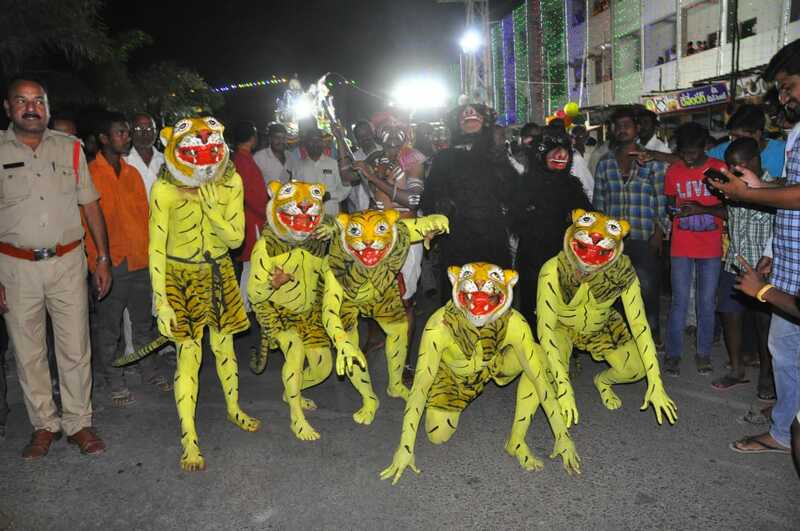 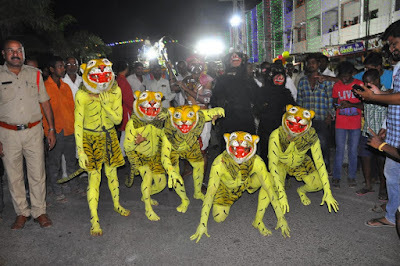 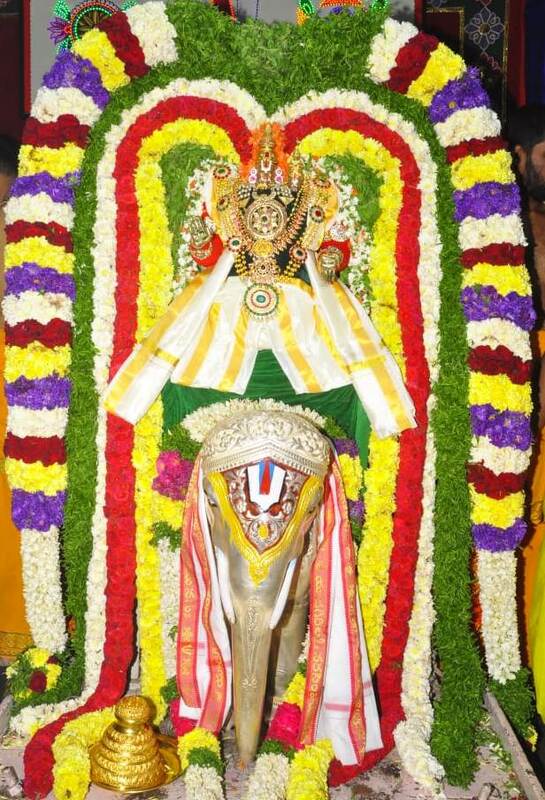 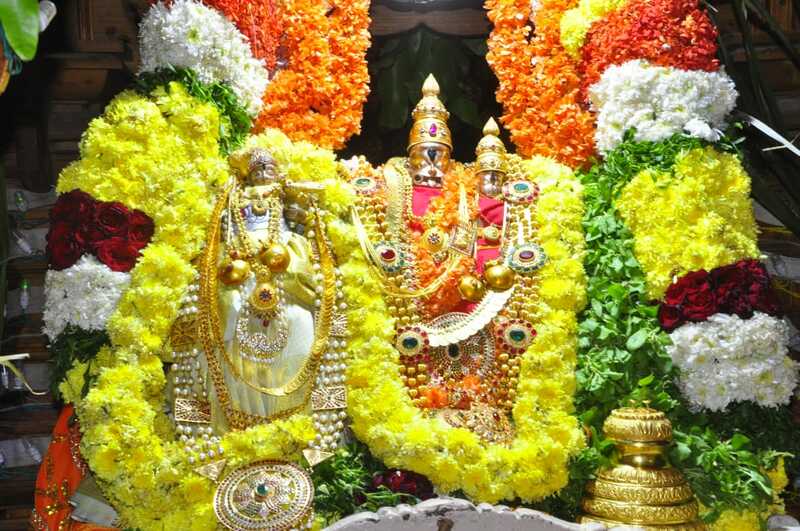 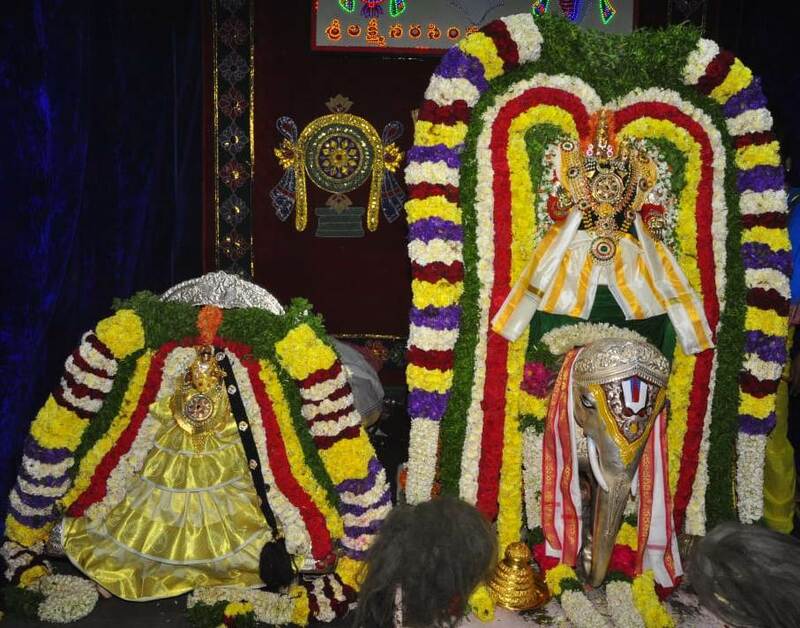 Sri Laxmi Narasimha Swamy vari Brahmotsavam 2019 - the event of Rathotsavam was held in the streets of Yadagirigutta town yesterday night, this is the third year that rathotsavam is celebrating in the town, since the uphill Yadadri is not ready for the celebrations as renovation works are under progress. 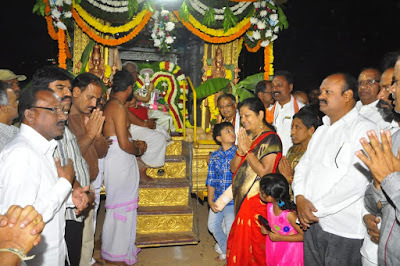 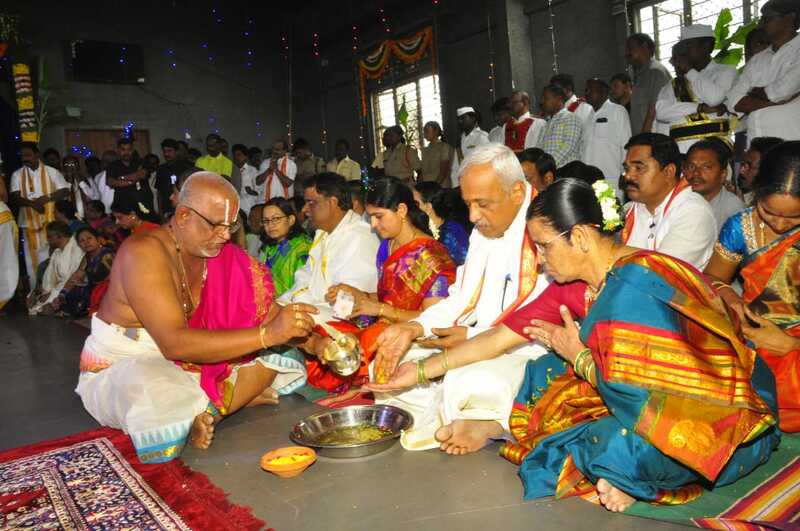 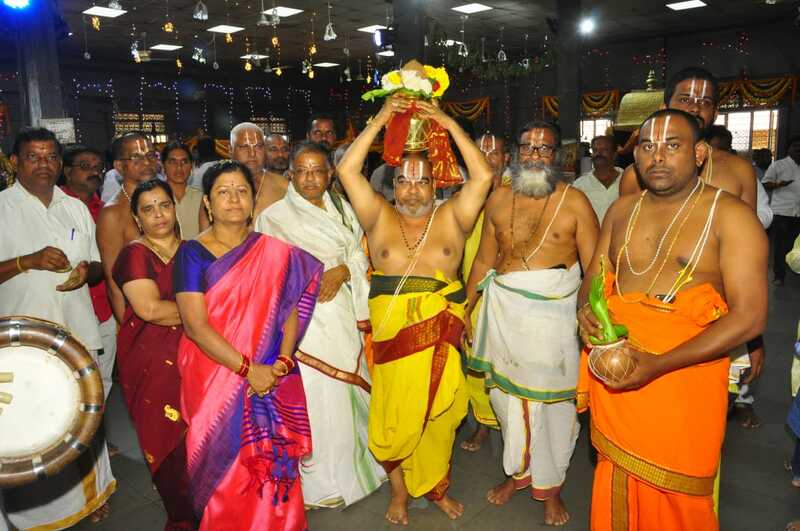 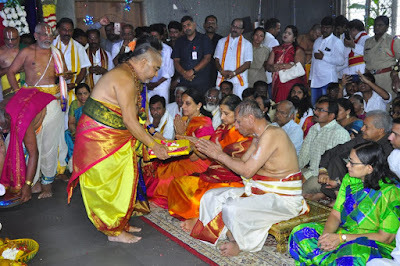 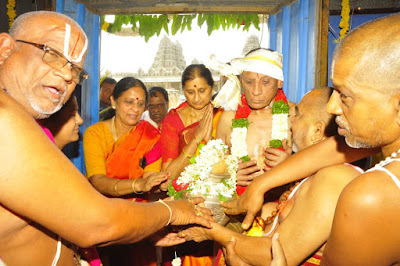 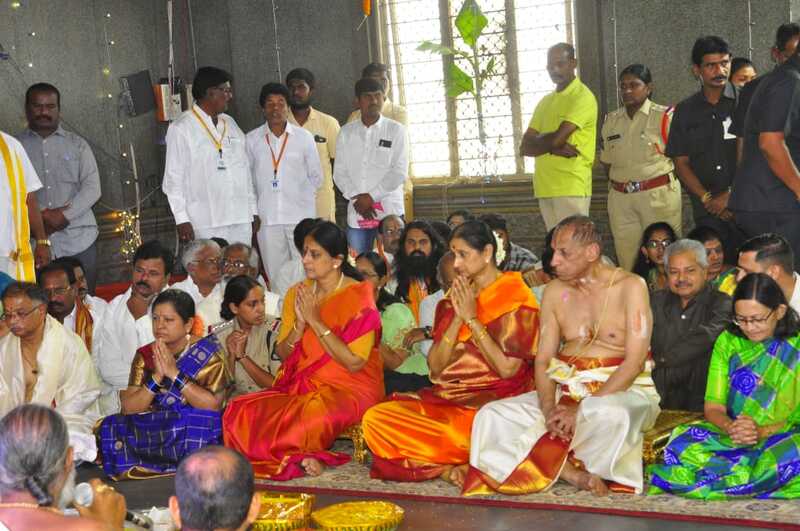 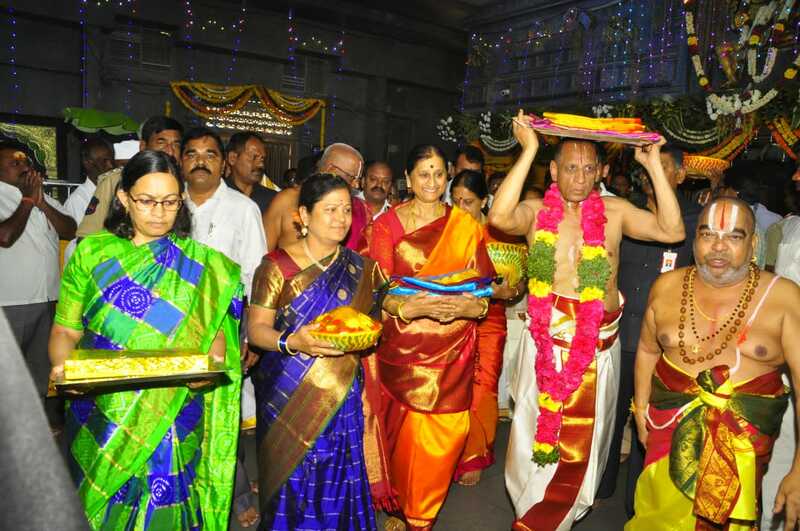 In part of Sri Laxmi Narasimha Swamy Brahmotsavam 2019, Sri Laxmi Narasimha Swamy vari Kalyanotsavam held at Bala Alayam on Yadadri Hill, Governer Sri Narasimhan, Dist Collect Smt Anitha Ramchandran, Temple EO Geetha and others attend, Since the Temple renovation works under process general public not allowed to this function, since the place of Bala Alayam is cant accommodate more people, due to this again Thiru Kalyana Mahotsavam is going to be held today night at Down Town of Yadadri at Old ZP High School Ground. 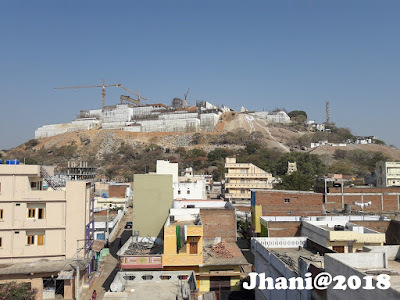 All opinions expressed on this website are those of respective commentators, original content source details are provided wherever appropriate. 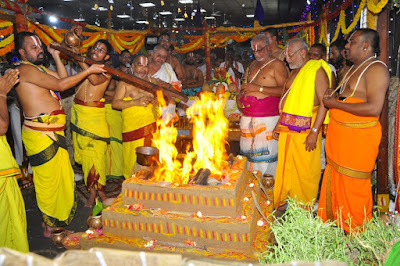 Yadagirigutta.net shall not be held liable on any materials displayed on this site of others.